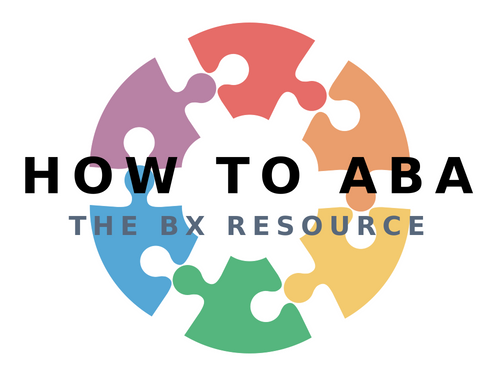 Generalization is an important part of programming because it allows for us to extend our reach beyond the actual ABA sessions and into the child’s everyday life. Parents are usually the ones that play a large part in this generalization. 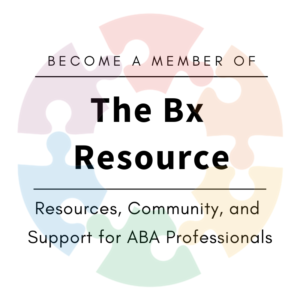 This means that we, as ABA professionals, need to be aware of how we’re training parents and empowering them to be able to carry over and generalize the skills we’re teaching our kiddos. We had a parent who would always say to us “I’m a mom, not a therapist.” We need to remember that parents don’t always have the training we have (although we’ve met some parents who would make stellar therapists!) and want to be able to just be parents and enjoy their children. 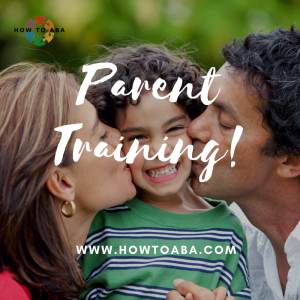 How can we structure parent training so that we can empower parents and give them the tools to generalize their child’s skills? We know that parents often have a laundry list worth of things they want to change or improve in their child. It can become overwhelming. Encourage the parents to pick one thing at a time to work on. Come up with a list of 5-8 things that they would like to work on. Ask them what their biggest priority is right now and tackle that one first. What’s in it for the Child? Practice and Role Play with the Parents! With parent training, we’re shaping the parent’s behaviour as much as the child’s behaviour. This means, we want to give the parents practice and feedback with their behaviour as well. Create opportunities for the parents to practice the new skills they are learning. If a parent is struggling with taking their child on an outing, go with them! Have the parent practice implementing reinforcement and visual schedules while you’re there to help, support, and provide feedback. It can require a change in mindset for parents to pay more attention to positive behaviours than negative behaviours. This can require some coaching on how to reinforce replacement behaviours. If you’re working on toilet training, teach the parent how to reinforce successful eliminations in the toilet – i.e., right away, with a preferred item, paired with praise, etc. At this point, make sure that parents understand about the possibility of an extinction burst and are prepared for it! Come up with a simple data collection method for the parents. Remember, parents are not therapists so data collection has to be a lot more user–friendly. A simple idea is to have the parents hang up a calendar and mark tally marks on every day that a behaviour happens. This will give us an idea of frequency. If you’re targeting the duration of a behaviour, for example, how long the child’s morning routine took? Have the parent mark the amount of time on the calendar. ABC data sheets are also helpful for some parents to be able to see trends in the antecedents of certain behaviours. Whatever it is, make it doable and monitor it closely to look for trends. Don’t let parents fall into the trap of thinking that a skill is mastered so they stop providing reinforcement. Reinforcement must be faded at an appropriate pace so that the skill is maintained even without reinforcement. Once you’ve determined that a skill has been mastered, move onto the next priority! This entry was posted in ABA, Autism, Behaviour, parenting, special needs. Bookmark the permalink.